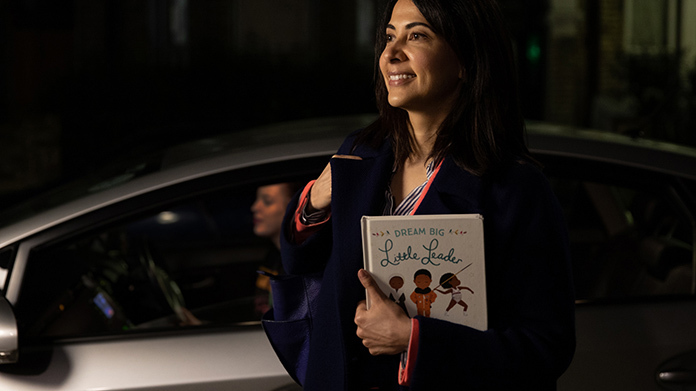 With millions of kids getting involved in World Book Day this week, we’ve been working with Uber to launch mobile libraries in the back of their cars – giving Britain’s hardworking parents the chance to pick up a book for bedtime. Finding that as many as 43% of mums and dads from across the UK admitted to never making it home for their child’s bedtime – much less having time to read them a story – we partnered with the lovely people at Puffin and The National Literary Trust to put 1,000 children’s classics in the backseats of cars across London and Manchester. Completely free to take away, we offered parents and kids the chance to choose from five classic kids’ novels ranging from Charlotte’s Web to contemporary favourites Dream Big Little Leader and Mrs Pepperpot Stories. And the results were fantastic, kicking the week off with a great segment on Good Morning Britain as well as some regional broadcast coverage and a great piece in the Manchester Evening News. The Sun, The Daily Star and City AM featured the giveaway in print. Supplemented by online national coverage from Mail Online and City AM as well as online consumer hits from OK!, The Bookseller and more. It was a fantastic campaign, with some equally fantastic results and we hope we offered a helping hand to get the nation reading to their kids once more.